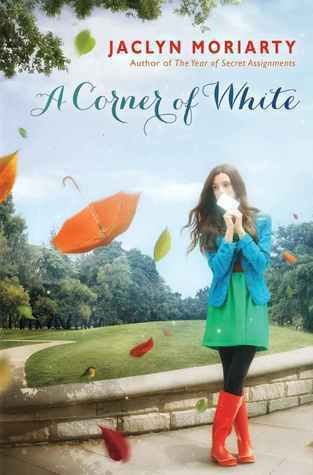 I loved A Corner of White but if, IF you find it's not for you, please read Feeling Sorry for Celia or The Year of Secret Assignments. Those are so fantastic and you can start with either one. I haven't read the Grisha books but have heard great things about them--Ten Tiny Breaths is supposed to be good too. And I loved the Mercy Thompson series, up until River Marked, which I didn't like so much. Hope you enjoy your reads. You've had a great week. Wow, an awesome haul! 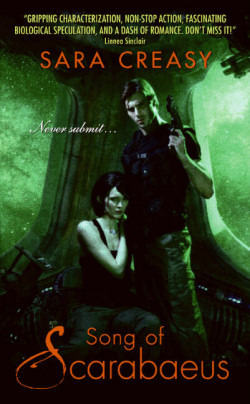 I am a huge fan of the Mercy Thompson series - you got such a bargain :) I really need to grab a copy of the latest book. I hope to start on Ten Tiny Breaths this week. Fabulous haul Keertana! !Bruised seems like a really interesting read so I might pick it up sometime. Wild Awake seems really great too! I'm looking forward to hearing your thoughts on Like Mandarin! 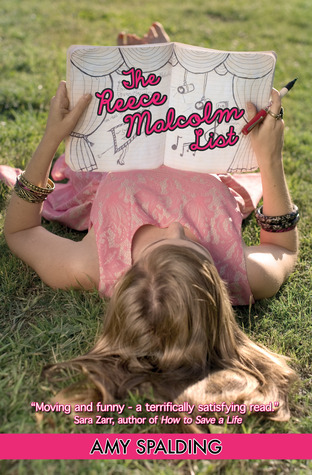 The Jaclyn Moriarty cover is SO VERY gorgeous. I love it. And I'll have to download Archlight too, I think it's Harper, isn't it? They sort of auto-approved me on Edelweiss (I think), so I've been downloading things like an insane person lately. I have to keep it in check. I'm SO SO glad you loved Bruised! It's such a special little book, isn't it? I have to get Bardugo's books, I'm really curious about them. So so jealous! Siege & storm and Wild Awake! You've got some awesome books here! Enjoy! btw, I am a HUGE fan of Amelia Atwater-Rhodes, at least her older stuff, and Hawksong and Demon In My View are my favorites by her! I hope you love Hawksong! It has one of my favorite romances ever. The Amber House is absolutely gorgeous in person. I have a copy too and I can't wait to read it. I'm actually starting A Corner of White after I finish the book I am reading now. I can't wait because I have heard awesome things. This is a really fantastic haul this week. I hope you enjoy all of them! Ahh so much great books! Amazing blog here too! *New Follower GCF* Can't wait to see what you think of them! Once you get one book from Harper, you'll end up getting them all (or so I've noticed!). Congrats on the first approvals! :) I can't wait to see what you make of Arclight and Wild Awake. I'll have to go off and read a few reviews for The Lost Conspiracy, as I loved A Face Like Glass. Great haul this week, Keertana! Sheesh, you got a lot of books this week, Keertana! I am starting the Moriarty and S&S and Arclight and September Girls and Amber House soon, too. 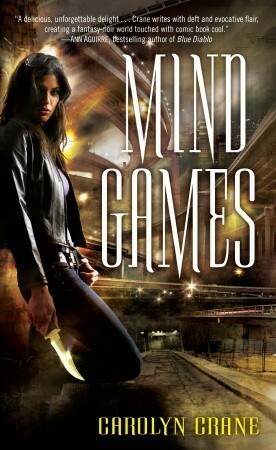 I'm really happy you got yourself a copy of Written in Red and Mind Games, both books I loved (thanks for linking to us!) --I've been meaning to check out Sistersin Sanity, too. 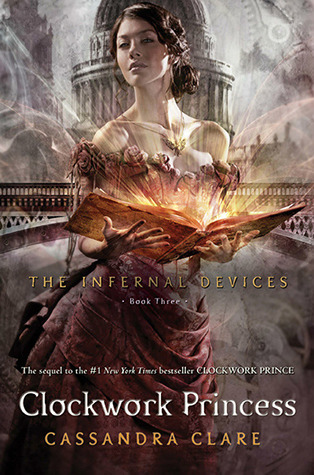 I'm sorry you didn't enjoy Clockwork Princess as much as you'd hoped--I'm one of those who adored it, but I understand some of the reactions I've seen. 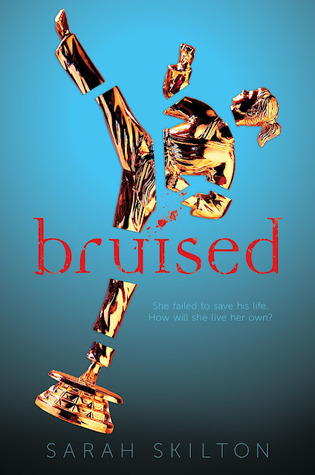 I'm curious what you'll think of Bruised--I ended up with very mixed feelings about that, although so far I think I'm one of the few who didn't rave. Happy reading! No, I'm going to wish you TIME to read, hah. You're going to need it. I've been thinking of getting a copy of Bruised and reading that you'd highly recommend it, I think I'll grab it the next time I visit the bookstore. I like the variety of books that you're showcasing, Keertana, and congrats on receiving your goodies via Edelweiss. Have an amazing week! Wow! That is an amazing haul. I don't know where to start. I love the Mercedes Thompson series and that is awesome you got them for such a steal. I devoured them all back in 2011 and I have been waiting for the next book, which I have but need to find time to read. A great series. 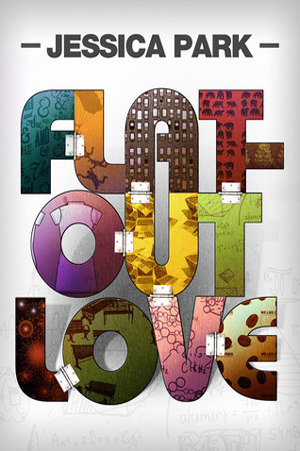 I really liked Flat Out Love a nice little indie title. I hope you dig out from that amazing haul soon. Have a fabulous time reading them all, Keertana! What a giant haul, Keertana! I'm so jealous of your copy of Siege and Storm. I went onto Netgalley to request a copy when I found out it was available, but by the time I was went on there, they had already removed it. Sad, but I'm definitely getting a copy when the book comes out. I'm happy to hear that it's even better than the first book! I need to get to Bruised soon since both you and Maja enjoyed it! I hope you have fun with all your books! Gahhh definitely need to get to reading Leigh Bardugo books soon! Awesome haul :). Lots of good books this week! I have Shadow & Bone and I really need to read it since the second one is coming out! Arclight looks really good! Holy cow, what a week! First of all, I gave up on Edelweiss long ago. I get enough books anyway, I didn't really stress it, but it's frustrating to take the time to request stuff and NEVER get approved. 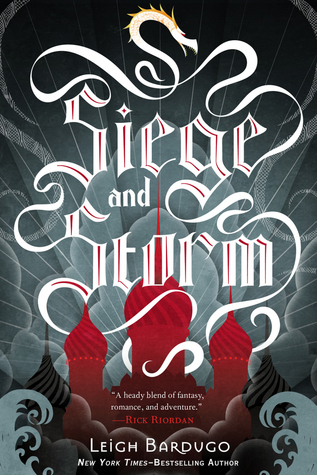 I have Siege and Storm and I can't wait to get through what I need to read NOW so I can read it! 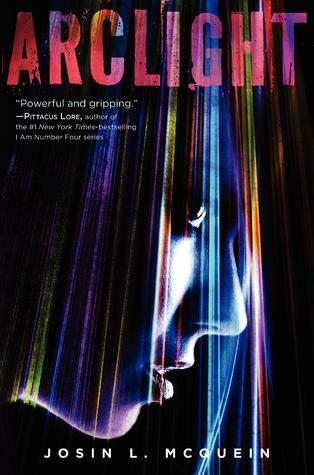 I have Arclight but haven't seen any reviews yet. 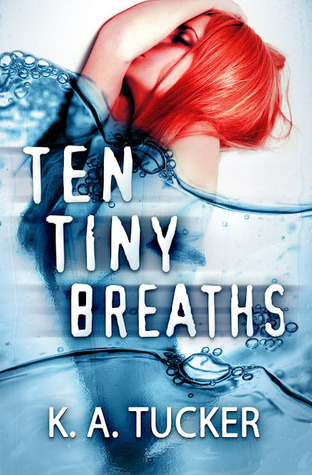 Ten Tiny Breaths is on my WL. I have heard amazing things! I got Bruised at ALA and met the author and she's super nice! Still need to read it though. You already know my thoughts on Clockwork Princess. I loved it. But I can kind of see why you didn't, just knowing your reading preferences. I can't remember if I have Like Mandarin. If I don't I know it's on my WL. And I didn't know Gail had another book out! I've had the first several Mercy books for YEARS. I so need to read them! 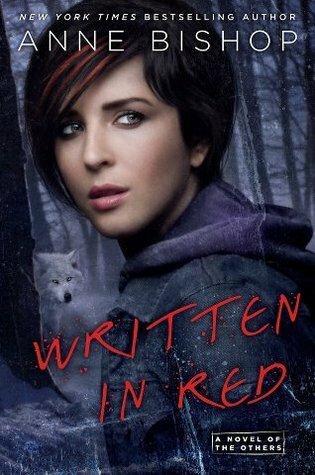 I want to read Written in Red because of Wendy's review and because it's Anne Bishop and she's genius. I have Flat Out Love too, and met her at ALA as well! She's awesome too and I'm really excited to read it! Oh my goodness, that's a TON of books! 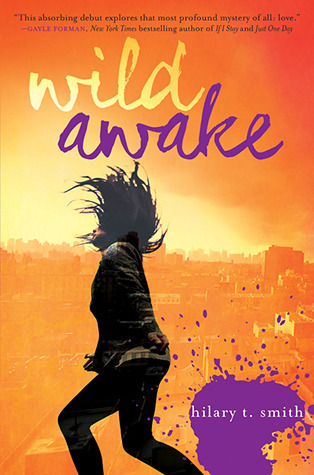 I'm so excited that you got Wild Awake--I've been keen on it since I saw it--and I hope it turns out well for you. Ah!! It is taking ALL of my willpower not to request Wild Awake. It is one of only about two contemporaries that I MUST read this year (the other being This Song Will Save Your Life)--so excited to see what you think! I'm going to be responsible and get it from the library after release. 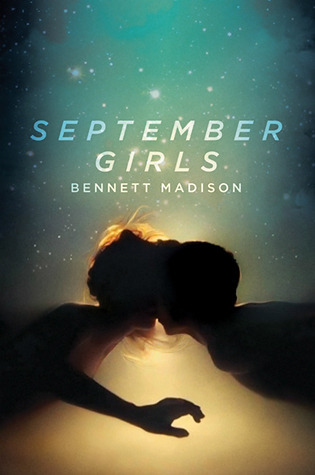 I love the cover for September Girls too, despite the fact that I'm so sick of underwater covers, this one's just gorgeous. I'll look forward to your thoughts on Amber House too, I'm interested in this series, but am waiting for more books. YAY!!! 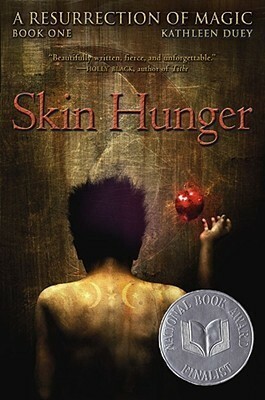 I can't tell you how excited I am that you picked up Skin Hunger, I really think you'll appreciate it, I love that series so so much (still need to finish review for second, terrible). 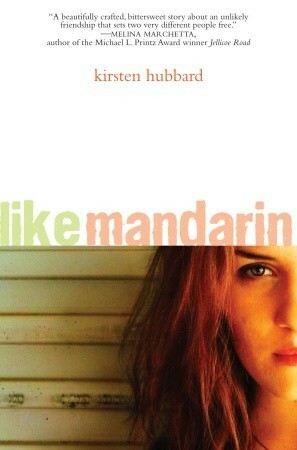 Also HOW did I not realize Like Mandarin was the Wanderlove chick? I have it on my TBR because it's a Wyoming book, and those are few and far between. I've seen Gayle Forman in person now a couple of times, and she's always reminding people that If I Stay wasn't her YA debut. 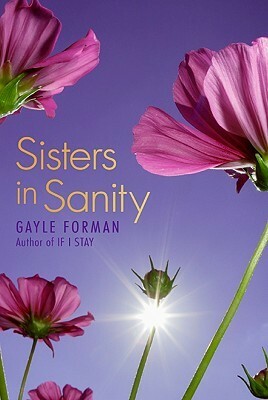 I've heard good things about Sisters In Sanity even though it's not nearly as widely read. Totally jealous about your Mercy binging! I'd be doing the same if I didn't need to listen to books for Armchair Audies right now. Also yay for Marillier and Hardinge, and of course The Hollow Kingdom!!! Okay, going to stop with the ridiculous bookish excitement on your part before this becomes a novel. Wow. You certainly collect an awful lot of books over your time. Sounds like a real bargain store you've found there and got tonnes of goodies. I'm off to check a few of those out that look intriguing and a few others I'll look forward to your thoughts on.